Most popular and historical neighborhoods of Athens are located in the city center: Syntagma, Plaka, Monastiraki, Acropolis, Thissio and Gazi are the most tourist places to walk around and include most sightseeing. Many tourist facilities are located in these places. Many hotels and accommodation are located in this Athens neighborhoods. After you have seen the best neighborhoods, you can also find information about the best beaches. Discover our guide to 17 Athens neighborhoods. They are all presented with detailed description, photos and their location on a map of Athens. For the most popular ones, we also provide information about sightseeing in the area, a selection of hotels and reviews. Description: Plaka is the most picturesque quarter in the heart of Athens. Paved streets, Neoclassical houses and gift shops distinguish this relaxing neighbourhood. Description: Thissio is a lovely neighbourhood right in under the Acropolis. With many outdoor cafeterias, this is a favourite coffee spot for locals and visitors. Next to Thissio, there is the Ancient Agora. Description: Monastiraki is a picturesque neighbourhood in the heart of Athens. It is famous for its Neoclassical houses, the ancient sites and the open market with souvenirs and antique shops. Description: Syntagma, whose name means Constitution, is the central square of Athens. It distinguishes for the Parliament House and the beautiful Neoclassical buildings that surround it. 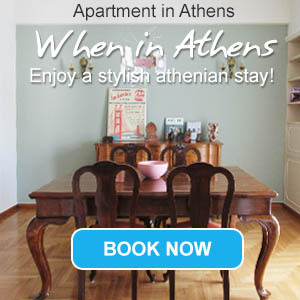 Most sites are within a walking distance from Athens. Description: The neighbourhood of Acropolis, also called Makrigianni, start from Hadrian's Arch and extends till Thissio. This is a paved region under the shade of Acropolis and within a walking distance from the city centre. Description: One of the most elegant neighbourhoods of Athens, Kolonaki is located within a walking distance from Syntagma square. It has many shops, paved streets and cafeterias. Description: Psiri is a typical old neighbourhood in Athens, with Neoclassical buildings and paved streets. It is a popular nightlife spot, particulalry for its clubs and the taverns. Description: Gazi took its name from the gas factory that worked there in the past. Now the factory has been turned into a cultural centre and the neighbourhood is very popular for its nightlife. Description: Piraeus is the largest port of Greece and it serves ferries to the Greek islands. The town of Piraeus is modern and has lovely seaside cafeterias to relax. Description: Omonoia is one of the largest squares in Greece and most important squares in Athens. Although it doesn't have good reputation, many luxury hotels are located there.